Take a break from studying. If you’ve spent enough time studying that you’ve gone through every LSAT Logic Game, then you need to make sure that you’ve taken a few weeks off at one or more points along the way. Compile a list of all LSAT Logic Games (see here for a list of every LSAT in that has been released by LSAC), and check to make sure you have done them all (a list of all games, classified by type, also exists on the LSAT Logic Games Bible book website). 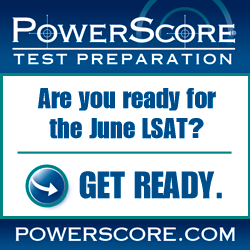 The reason you want to check all LSATs is to make sure that you have indeed completed them all. There are over 70 LSATs available from LSAC (the makers of the LSAT), and so sometimes students discover that they thought they had completed every game but in fact they had not. If there are Logic Games that you have not completed yet, don’t rush out and do those first. Instead, hold on to those until the LSAT approaches. In the meantime, start redoing every LSAT Logic Game, practicing with each under timed conditions. Yes, you will have seen these games previously, but the goal here isn’t to simply do the games and get them all correct (although I hope you do get them all correct). The goal is to actually learn how the game really operates. So, in this sense, I want you to approach each game as if you had to teach it to a class afterwards. Approaching Logic Games in this fashion tends to force students to think about the games both more abstractly and in more detail, and to connect pieces of each game to other games they have seen before. This makes them stronger at games in general because they can see the big picture more easily. And, of course, there is no better proof that you know something well than if you can teach it to someone else. So, if you can, find a study partner and take turns explaining different games to each other. That will help order your approach mentally, and also reveal the areas where you do not have a perfectly clear understanding. Working on complete LSAT games is obviously useful, but don’t forget that there are plenty of drills available to help improve particular games-related skills. For example, the LSAT Logic Games Bible Workbook contains many drills that are designed to help isolate specific game skills (there are also additional drills available on the new LSAT Logic Games Bible book website that many students are not aware of yet). Finally, if you are really desperate for additional LSAC games, consider that there are four released LSAT-India tests, as discussed here. these tests are easier than our LSAT, but there are made by LSAC (and completing them is often a boost to your confidence since most regular LSAT-takers do relatively well on the LSAT-India Logic Games section, as well as the test as a whole). When re-doing the games, don’t worry about the fact that your scores and times may seem artificially improved. The goal is to learn more about the fundamental nature of games–what really makes them tick. The typical LSAT Logic Game is so complex that you will learn new things about the game even after you have practiced it two, three, or four times!